Oooh, sounds fancy-pants, huh? Well, it is, actually. I’d serve this right up to guests in my house any day of the week. In reality, it was just me and the hubs chowing on it, but THAT SAUCE! The sauce with the shallots, dijon, tarragon, and the luscious cherry tomatoes that are cooked until just bursting is way up there on the yum-meter. I served this over pappardelle noodles, but it would go equally well with roasted or smashed potatoes, rice, etc. I riffed this from a recipe I found on New York Times Cooking. They’ve been giving me quite a few ideas lately about what to cook, with their handy “What to Cook This Week” email subscription. (Which is free.) I get a lot of spammy email, but that is one email I always click on to see what inspires my tastebuds. I usually read the “most helpful” rated comments and adapt the recipe based on people’s changes who actually made the recipe, as the NYTC recipes are not always golden. OK enough of that endorsement (which I was not paid for, lol). Season the chicken with salt and pepper, then dredge the chicken through the flour, patting down to lightly coat. 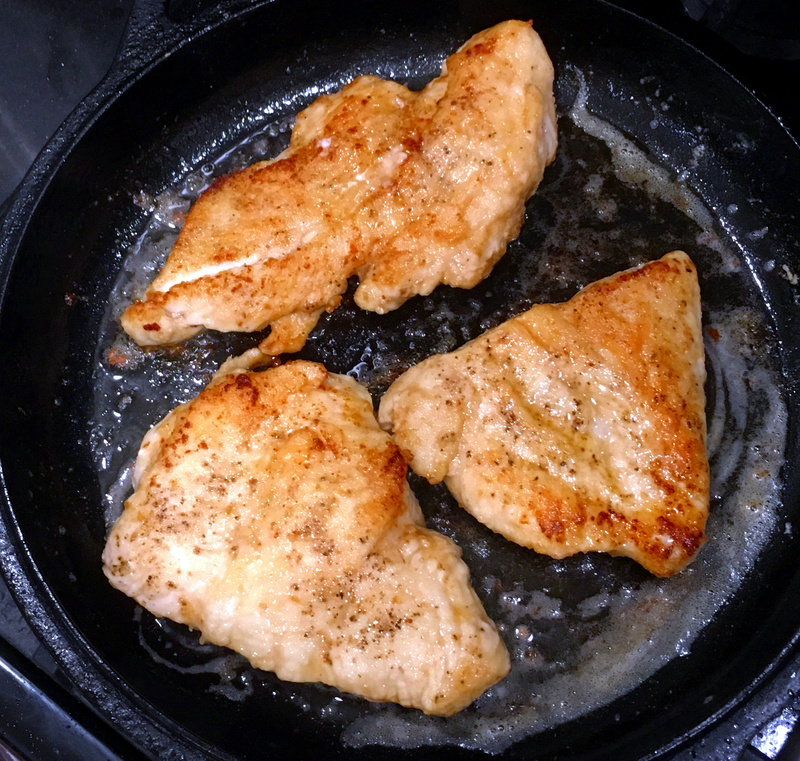 Melt the butter in a large skillet over medium-high heat until it starts foaming, then cook the chicken pieces on both sides for several minutes until browned. Remove and set aside. In same pan, reduce heat a little and add the shallots and cook until they start to soften and caramelize, about 10 minutes. Pour in the wine and chicken broth and deglaze the pan with a large spoon. Stir in the Dijon mustard and tarragon, add back in the chicken, then cover the skillet and simmer for about 15-20 minutes, reducing heat more if necessary. 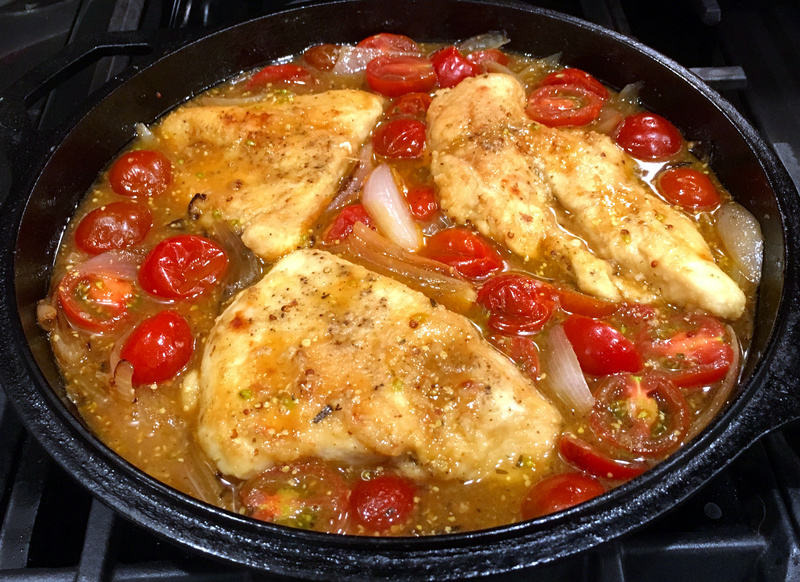 Remove the lid, then nestle in the cherry tomatoes around the chicken. Simmer until tomatoes start to wilt and burst and the sauce thickens, about 10-15 minutes more. Stir lightly to combine, then serve. Ooo, ooo, ooo, am I going to make this! I don’t lake shallots, though – not sure why. Got a thought on a substitute? Hi Noelle, thank you! 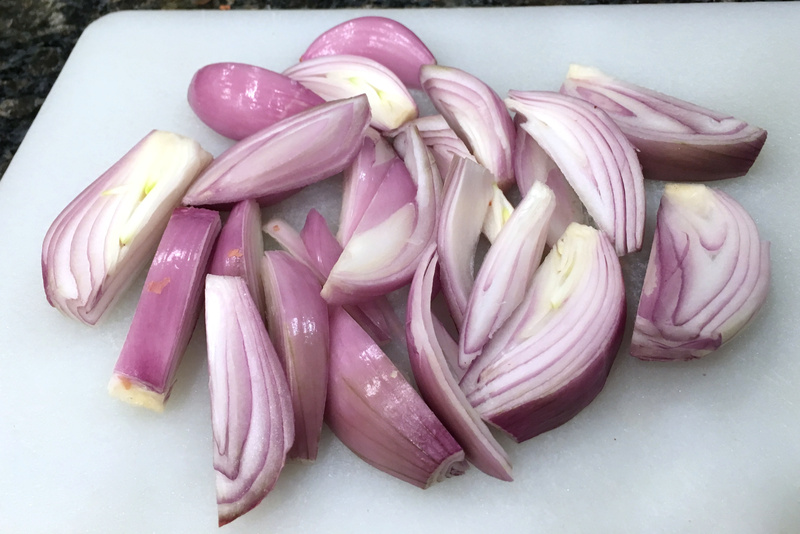 Yes, you can sub in some red onion and a few cloves of garlic. That would be just as tasty too! Oh wow! High on the yum-meter? Horsefeathers! It’s off the charts. Just the title had my mouth watering. Then the picture… Kathryn, I’m having another Homer Simpson drool moment. You are a kitchen wizard. Hugs on the wing! Your comments are such a delight to read Teagan! Thank you my friend, hugs back! Thank you Mary, it sure was! I have been really enjoying that New York Times column also. This chicken dish looks great and would make a good dinner on a work day. Good any day in my book! Thank you Bernadette! Speaking of books, have you ever considered! Only in the back of my mind, Bernadette! That looks great and I’d go for mashed potatoes, or even celeriac. I’m very keen on this type of one pot dish – it’s where all great meals came from when there was only a fire to cook on. I get the same emails from NYTC – it’s nice when you’re looking for something new to cook. I love sauces and this chicken dish sure looks good! 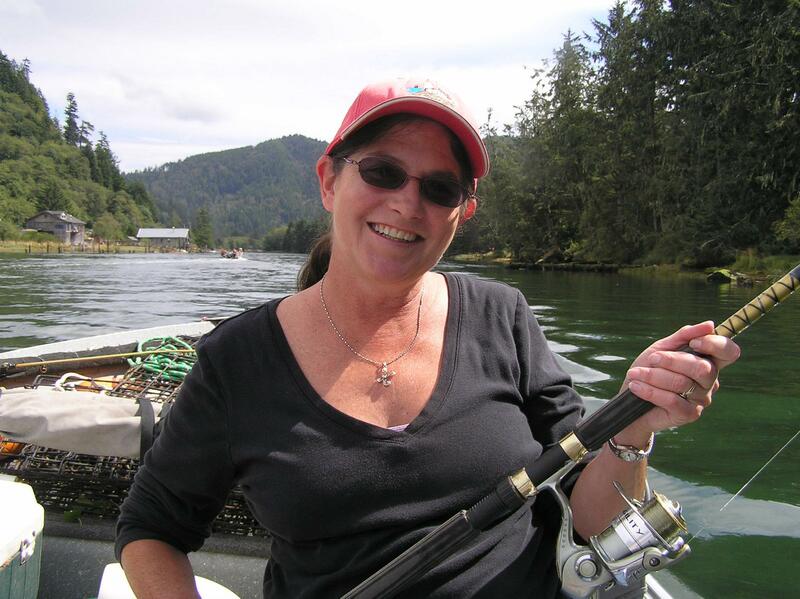 Thanks Judi, I’ve been enjoying them quite a lot! Thanks so much Tonya! It does make a nice presentation for a one pot meal, doesn’t it? Tasty looking dish! Love the use of shallots. They have such a nice subtle onion flavor. First one for them, and it was a great game, Kathryn Grace! 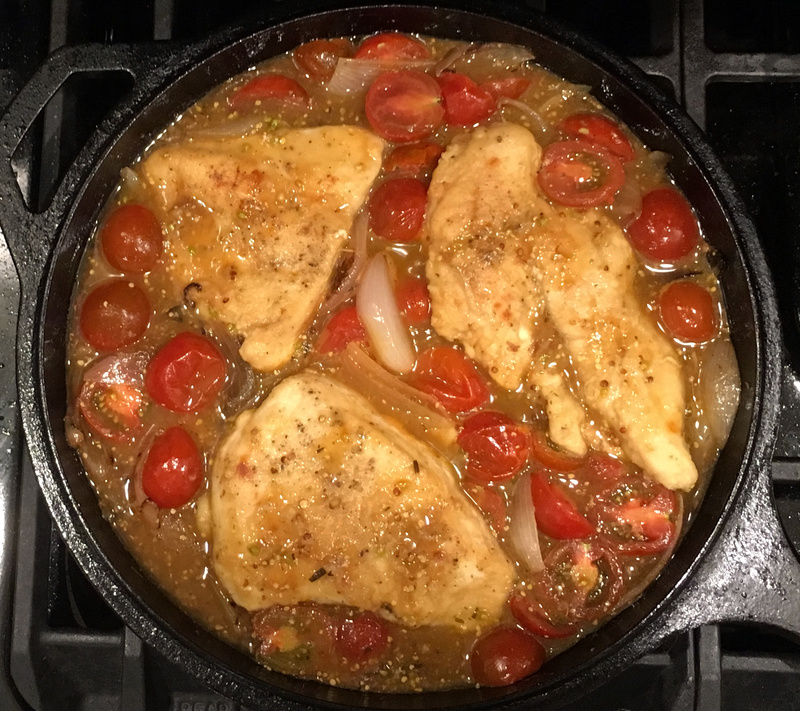 I do a mustard tarragon sauce but never thought of adding tomatoes…your chicken looks wonderful. Dijon sauce. You got me with Dijon sauce. Mmmmmm…. Thank you Conor, it’s luscious. Luscious, I like that word. You just have a way to pull me in with your photos, but this recipe made it actually into my cook list! Thank you. I’m honored Cecilia, thank you so very much! lol, go pats!! This looks mouthwatering! I love the NYT emails, too. You picked a winner with this! I love hearty and healthy dishes like this. Looks delicious! Thank you so very much Antonia! Looks like I’d better order some tarragon seeds for my garden this summer. I’m going to need to make this more than once!